Since its inception 22 years ago, Bern’s Winefest has grown from a weekend event to a week’s worth of festivities held in celebration of great foods and wines but, over time, also encompassing outstanding spirits and craft beers. This year’s event will be no different, except for the addition of two new dinners. However, sad to say, if tickets to any of the activities scheduled from April 7 - 14 are not already in hand, then, note to self, make sure to purchase tickets as soon as they go on sale in 2020. Hopefully you had your alarm set and your credit card handy when the ticket-buying frenzy to Winefest began Saturday morning Feb. 23. Tickets go crazy-fast ensuring every year is a sellout. Whatever event you may hold the highly-coveted tickets for, you know you're in for an incredible experience. So consider this your wake up call for next year. Below is a rundown of what is happening in 2019 so that you can review the range of seminars, tasting, sit-down dinners and more that are offered and hopefully figure out whether you are more suited for a brunch featuring bubbly and the unveiling of a commissioned work of art, a wine pairing dinner, a presentation about wine, a divine and decadent pairing of cognacs with confections created by the chefs from the Harry Waugh Dessert Room or if a special tasting featuring craft beers or cocktails are more your style. Of course, many consider the Sunday, April 14, event, The Grand Tasting at Haven, the centerpiece event of this whole week. That is when guests experience the rare opportunity to sample from a selection of more than 200 top-rated wines and spirits as well as nibble on some true culinary treats. 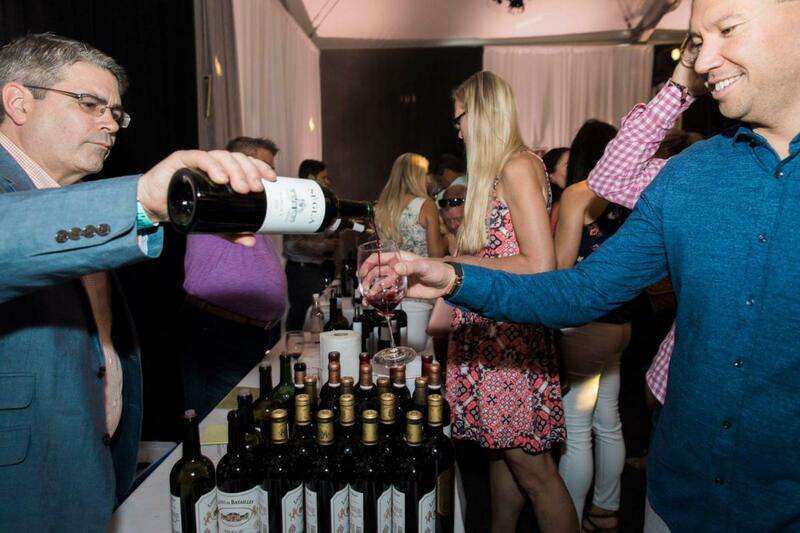 It takes stamina, willpower and the ability to resist indulging in too much too soon in order to go the distance and the duration of the Grand Tasting. This $220 per person event would be well worth that price just for the foods alone from Bern's Steak House, Élevage at the Epicurean Hotel, Cena, Ichicoro, Il Ritorno, Jamison B. Breadhouse Bakes, Parkshore Grill, The Mill and Rooster & The Till. Grand Tasting guests are encouraged to check out the cheeses featured at Haven’s Curds & Whey Lounge, as well as the newest concept, B&G Little Midway Ice Cream & Pastry Parlor as well as the silent auction benefiting the Bern Laxer Memorial Scholarship Fund. Fortunately live music performed by Electric Avenue may save you from slipping into a too-much-food-or-wine stupor by luring you on to the dance floor to work off a few of the calories expected to be consumed. Looking for additional events throughout Tampa Bay? Simply register at 727area or 813area. It’s easy and free!